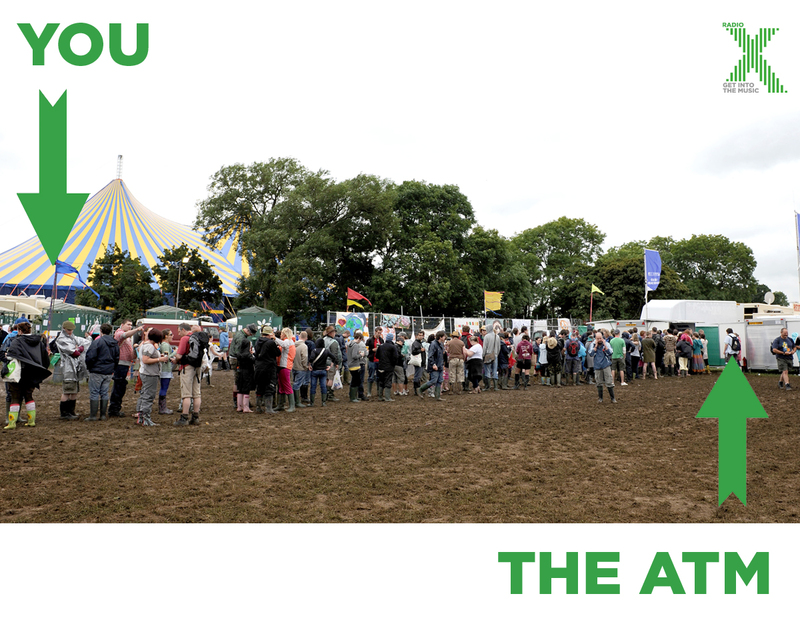 Setting off for the biggest festival in the UK can be a confusing, intimidating affair. Have you got everything you need? What should you look out for? Don't panic. 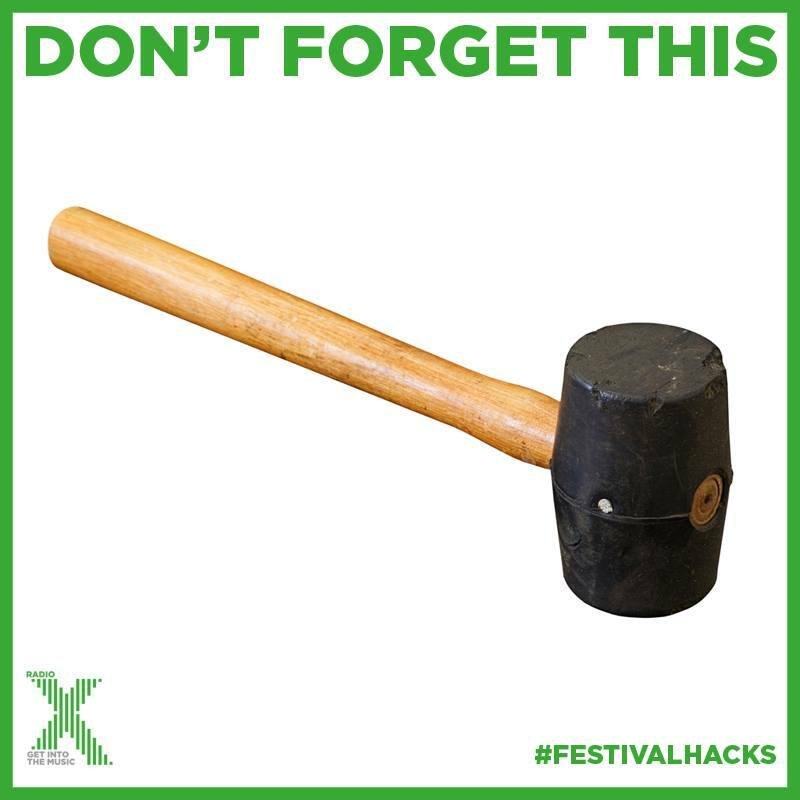 Radio X has had years of experience travelling to Worthy Farm. Here's some tried and tested advice. Don’t take unnecessary items: but do you really need to drag that spare gazebo all that way? The most important rule of all is: don’t take anything you’re not prepare to lose or damage in some way. You can take booze onto the site, but check the rules. Make sure you have all your camping stuff packed in advance: guy ropes, ground sheet, the lot. Take a mallet, that ground is HARD! 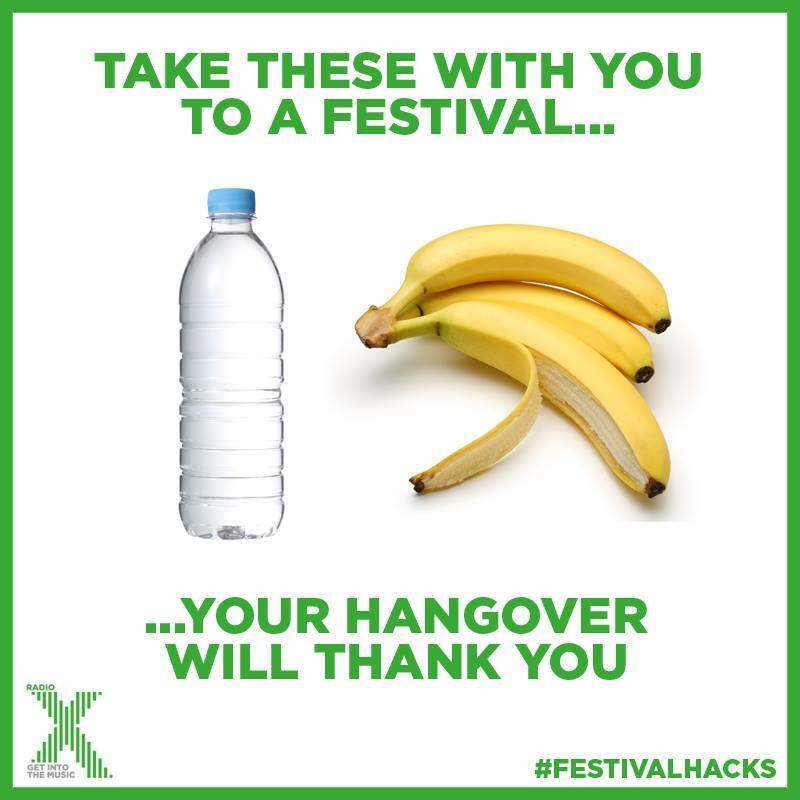 And don’t forget to pack your tickets, obvs. There are ATMs on site, but queuing for them can waste a valuable chunk of your weekend if they get busy (see the picture above). Don’t assume every stall will take contactless payments! Take what you money you will need, but beware of spending cash on crap - do you really need to buy that sombrero? Wouldn’t food be a better purchase? And don’t keep all your money in the same place, just in case you lose your wallet/bumbag. This is Britain in the summer, remember, so anything can happen. Make sure you have a decent pair of boots (wellies or hiking): aside from the mud, you’ll be doing a lot of walking. If it’s not wet, it could get hot: take some sunblock if you burn easily, there’s precious little cover if it gets very sunny. And even if it’s fine in the daytime, the clear skies will mean it gets chilly at night! Hoodies are your friend. Try and get on site as early as you can. Gates open at 8am on Wednesday morning (21 June), but the car parks open Tuesday night at 9pm. The earlier you are, the better spot you can bag. Don’t fret if you arrive later, though - just be prepared to walk further to your campsite. Don’t camp at the bottom of a hill (you can imagine what happens if the rain starts to fall), and be careful you don’t camp too near the Gabba Revival All-Nighter Tent if you want to get some kip. 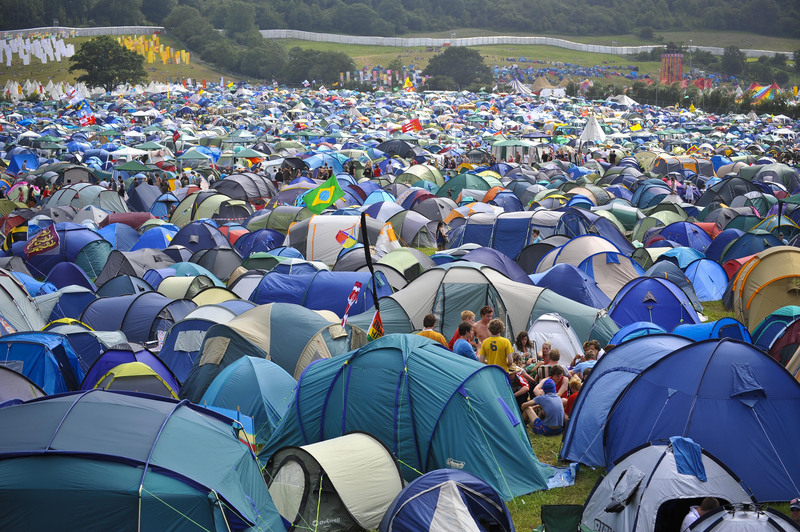 Remember where you’ve pitched your tent and its relation to the festival site. Find a decent landmark: a path, a toilet block, a group of gurning lunatics, anything that will be familiar to you when you’re staggering back to your crib at a million o’clock in the morning. Putting a England/Scotland/Wales flag on top of your tent won’t cut it - EVERYONE does that. Your iPhone 6 may be great, but chances are it will run out of battery at some point, and charging it will be difficult, so don't rely on it too much. Arrange to meet your friends by a distinctive meeting point at a particular time: in the changeover between bands, for example. Texting or calling them may not work - everyone else will have the same idea and the networks will buckle under the strain, whatever they say about the “improved service this year”. The Glastonbury Clashfinder is a beautiful creation, but it’s important not to become a slave to the stage times. You should expect to see but a fraction of the artists you want to see. Try going for a wander and see what you find: take in some comedy, spoken word, theatre, circus performances, all kinds of craziness. Have a massage, chill out in the Green Fields, go and see some jazz. But accept that Glastonbury is HUGE and you won’t possibly ever see it all in one weekend. That is its beauty. You may think you can cope on fresh air, warm cans of bitter and vodka jellies for five days, but realistically you will need to chow down to give yourself some energy. Glastonbury is full of amazing food stalls, get to know them! And if it's going to be a hot one, keep hydrated otherwise you could come a cropper. The much-maligned Glastonbury latrine has been the stuff of dark legend, but don’t be afraid. Our advice: use the lavs that aren’t by a major stage or thoroughfare. They will be less busy and not as full of other people’s ordure. Keep an eye out for the cleaning trucks and get ready to unleash your business right after they’ve finished. Try the long drops - they’re in the open air, sure, but in many ways they’re more hygienic than the cramped plastic booths. JUST DON’T LOOK DOWN, WHATEVER YOU DO. 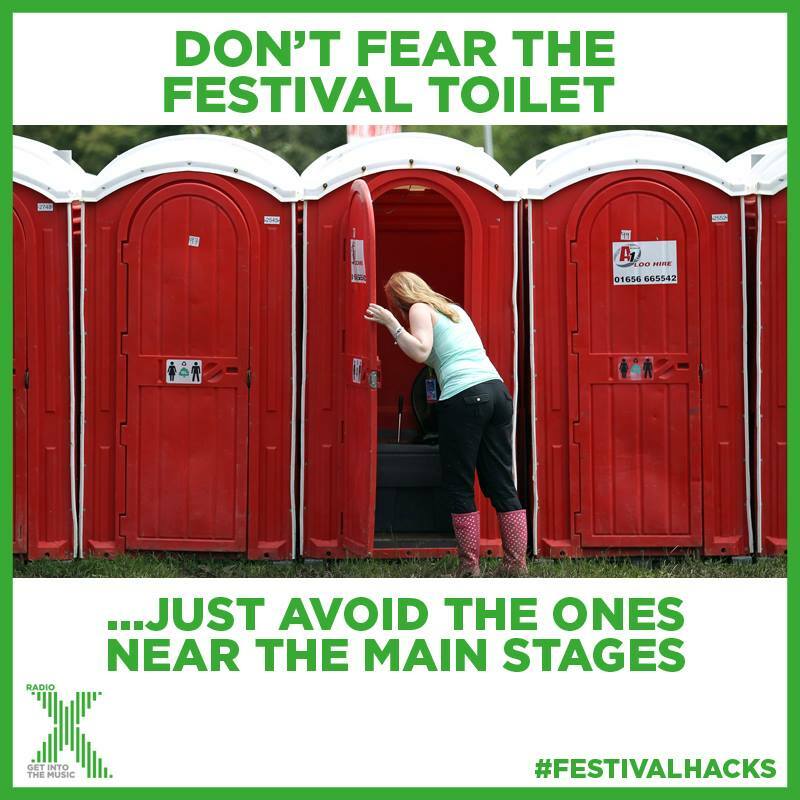 Weeing in a bush may be as nature intended, but you can get the whole festival in trouble as the Whitelake river can be polluted if everyone has an alfresco wazz at some point and your micturations make their way into the water. Take your tent home, it’s been good to you, use it again. Ditto your wellies. 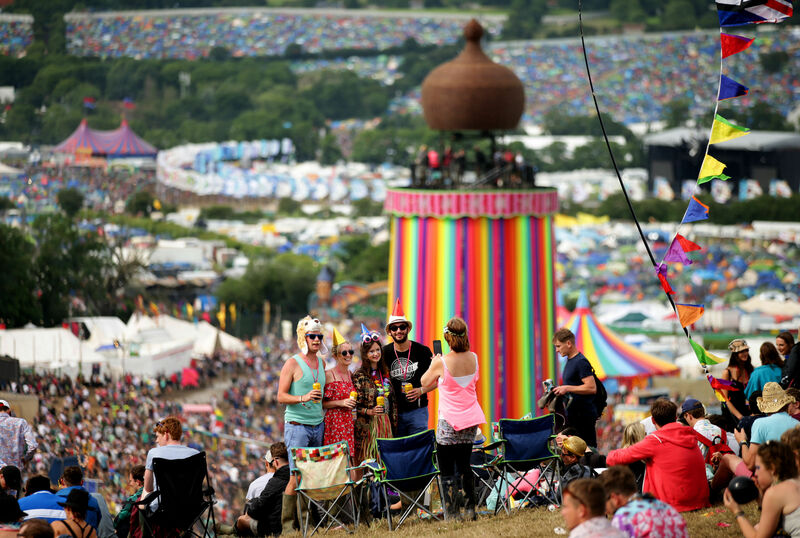 Have a look at Glastonbury’s green policies. Everyone wants to have a lovely time, so think on. 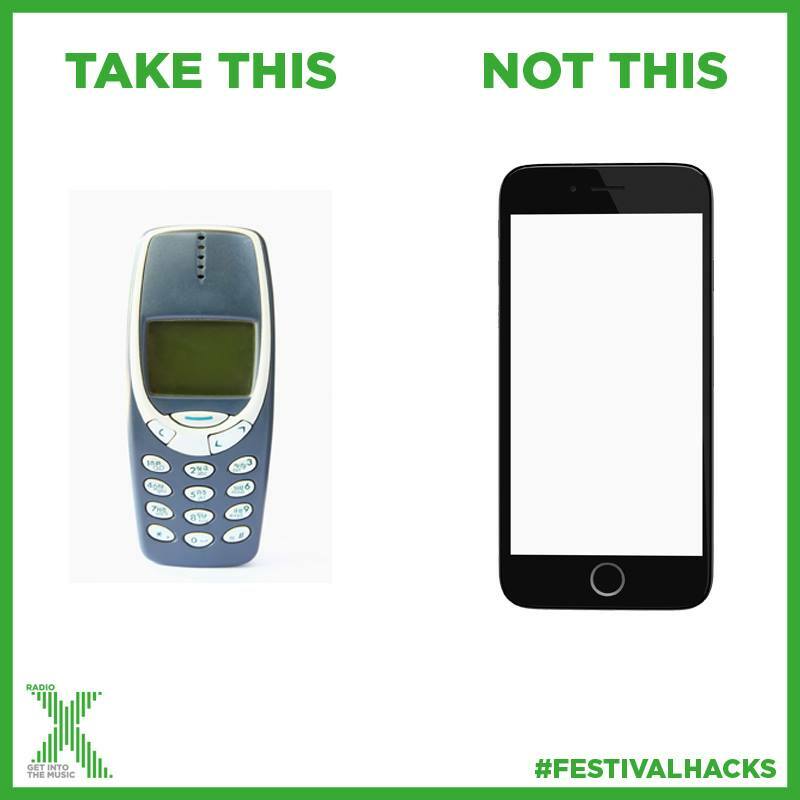 You’re at Glastonbury, this is part of history. If you overdo it on beer or cheap wine and spend the weekend puking, what stories will you have to tell? Do you want your main memory of the festival to be a load of aggravation with other people, or the inside of the medical tent? 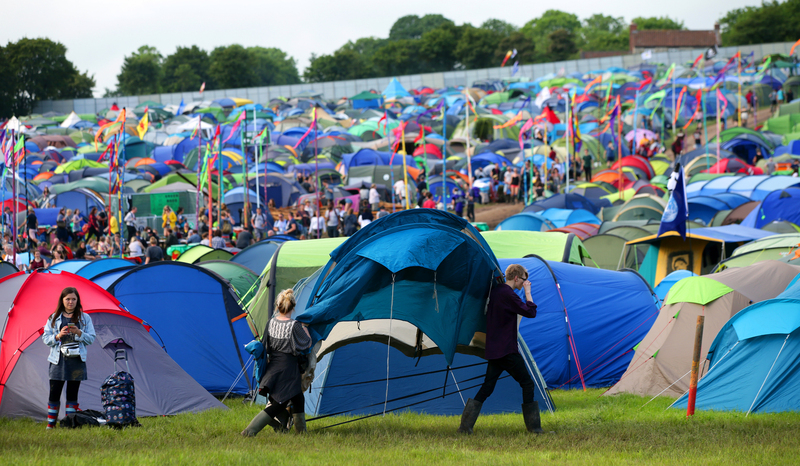 Drugs are ILLEGAL on the Glastonbury site and the usual laws apply, so don’t get arrested before you’ve even pitched your tent - the police will be conducting searches! 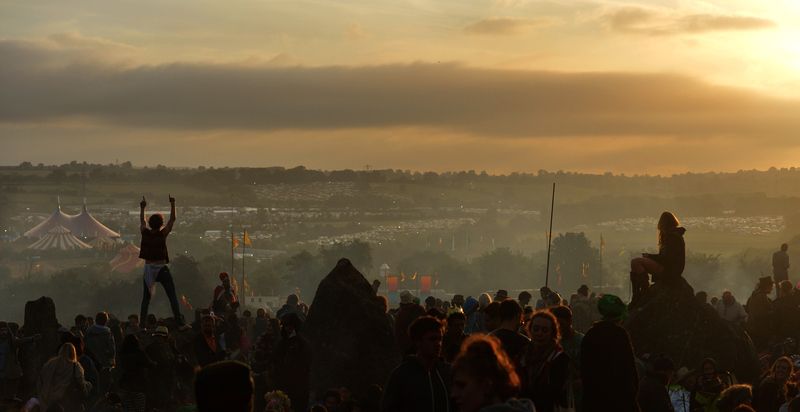 It’s big, it’s noisy, it’s intimidating, but Glastonbury festival is like no other festival in the world. 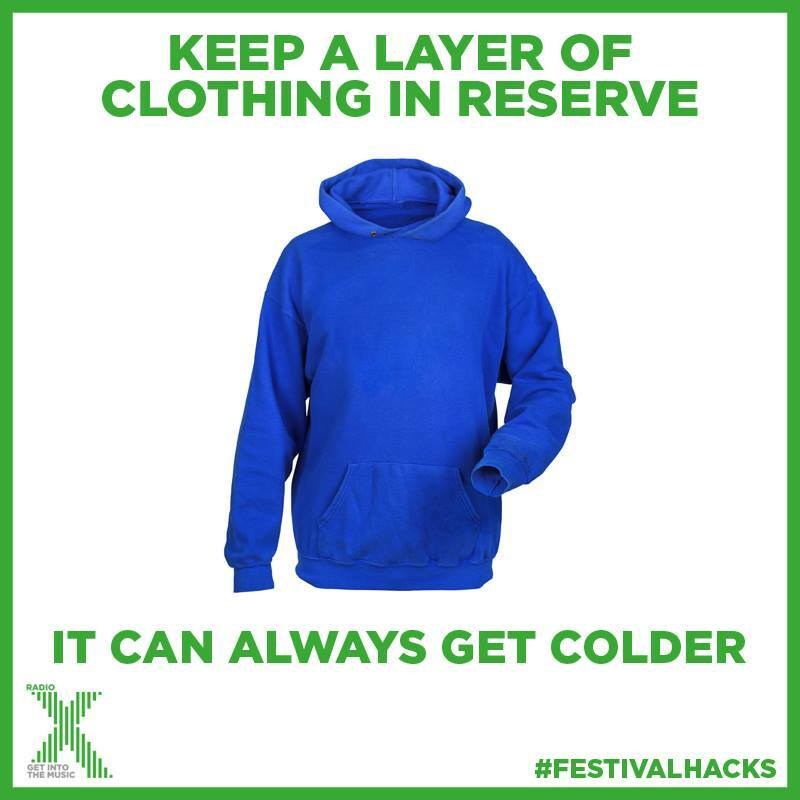 It’s just like learning to swim: don’t flounder, just let Glastonbury hold you afloat with its unique style. If you lose your friends, just make some new ones. Your pals will be turn up soon. They always do. NOW GET OUT THERE AND HAVE THE BEST GLASTONBURY EVER!